"Sometimes you look at me and it’s like you don’t even know who I am anymore." What happens when memory fails us? How can we connect when we don’t remember? Mémoire follows the love story of two people desperate to hold onto their memories together. 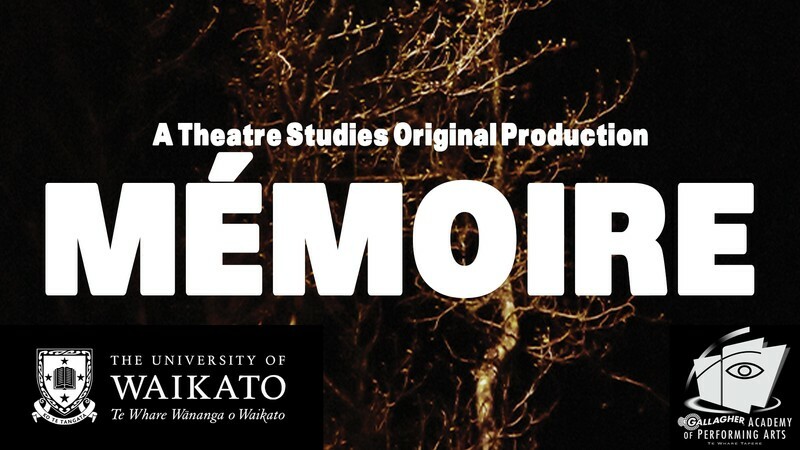 A Theatre Studies original production, Mémoire dives head first into the human brain, exploring memory, love, loss, and what it means to connect as humans. Pay What You Want - Everyone will be welcome regardless of payment. Seating is limited, to reserve a seat; margaret.amies@waikato.ac.nz.